We understand that a picture is worth a million words when it comes to real estate, so see for yourself. If you want to get a better understanding of exactly where we are located then check out the map of our area. Our office is conveniently located on Highway 25E in Tazewell, TN, just west of the 33/25 intersection. 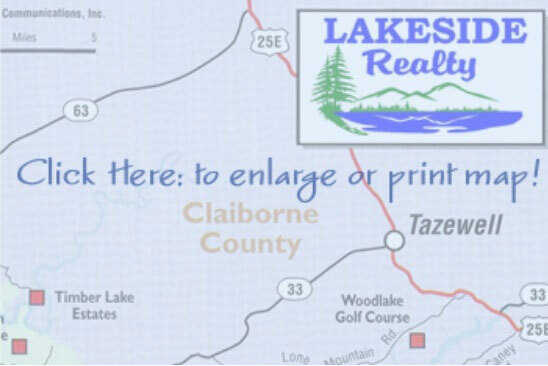 If you’re interested to learn more about Lakeside Realty and our real estate & agency options, please contact us today and let us know.